Expectations: Moderate, and hoping for the best. One of my favorite aspects of the Rodriguez/Tarantino film Grindhouse were the fake trailers. Easily my favorite of the bunch was Rodriguez’s Machete trailer. When it was announced that a full film was being produced, my excitement was through the roof. If they could keep up that level of over-the-top insanity that the trailer promised, while not resorting to the overly digital filmmaking that Rodriguez seems to favor these days, this could be awesome! To my surprise, Rodriguez actually pulled it off (for the most part)! Machete (Danny Trejo) was a federale until he was betrayed and his family was murdered. Left for dead, Machete faded into the United States where he works as a day laborer, trying his best to forget his troubled past. That all changes when Jeff Fahey rolls up and offers Machete $150,000 to assassinate the Senator running for re-election (Robert De Niro). The story may sound clichéd, and it is, but that’s the point. Like The Expendables, Machete is going for that slice of the audience that fondly remembers the action of the 70s & 80s, where generalized plots gave way to ridiculously fun violence and action sequences. Unlike The Expendables though, Machete doesn’t adopt the modern visual aesthetics and editing styles, and is a much better film for it. Rodriguez utilizes lots of digital FX in all of his recent films and Machete is no exception. The FX in Machete are quite restrained though, with only a few very notable uses of the green screen tech Rodriguez has become infatuated with. This means that most of the film seems to be shot on real sets, or on real locations…imagine that! It’s funny how they milk the same locations over and over though. The Austin capitol building is in the movie more that Steven Seagal! The choice to use real locations gives the film a good feel, without the detachment that I usually have with Rodriguez’s green screen spectacles. The gore here is almost completely CG though, generally an unforgivable transgression in my eyes, but I have to say they seem to work pretty damn well here. Heads are chopped off and look convincing, as do the multitude of torso-stabbings that populate the meat of the film. Machete is delightfully over-the-top in its gory violence, especially in its superior first half, with one moment standing above them all. It reminds me greatly of a similar moment in Riki-Oh: The Story of Ricky, and anything that can make me think of that ridiculous gorefest of a movie is okay in my book. That being said though, Machete is not without its share of problems. The second half is noticeably weaker than the first, and the big finale is one of the least enjoyable scenes in the film. 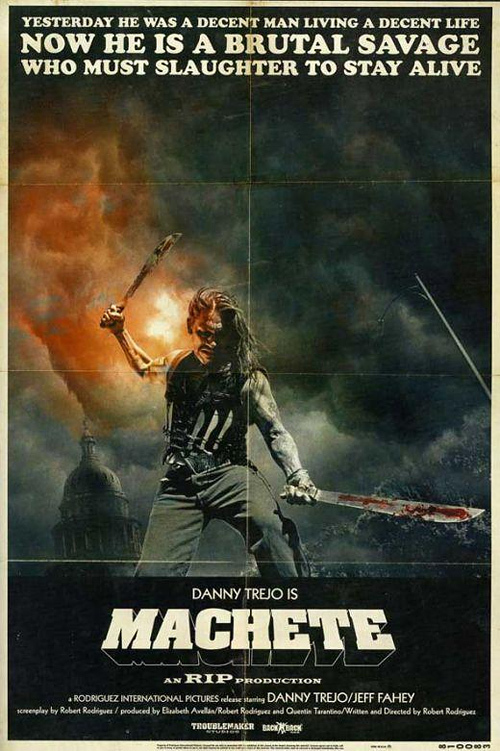 Machete is front-loaded with awesome, enough even to carry the goodwill all the way through the lackluster finale. The finale does contain some truly inspired moments (death by hydro-jumping truck anyone?) but what should have been a more personal revenge face-off descends into a large revolution scene that feels like a direct ripoff from the end escape sequence of Rodriguez’s Planet Terror. There’s also the issue of Steven Seagal. He doesn’t really add anything to the film, he feels out-of-place, and his Mexican accent is ridiculous. He’s obviously just there to add another name to the trailer, but this could have been a stronger film without him. Jessica Alba is also pretty boring in her role, but to be fair, she’s not given a whole lot to do. More disappointing still was the use of Tom Savini in such a limited role. When he’s introduced into the film as a rival hitman, you get the sense that there will be a big confrontation between the two hired killers, but nope, nothing of the sort. Whatever happens to Savini’s character is so forgettable that I can’t even remember despite seeing it only twenty-four hours ago. ARGH! A big missed opportunity. That commercial that intros Savini’s character is so awesome too! I don’t want to get too down on the movie though. It’s a ton of fun despite all of its flaws and is notable for being one of the few American movies to really embrace and revel in the Mexican culture. I look forward to the promised sequels, hopefully they can be more consistent in their awesome than this was. Hi Will! Great review as usual. I haven’t caught Machete, but it’s definitely on my must-see list. I had my reservations and while your review didn’t exactly remove them, it helps keep me grounded in my expectations. Thanks Joel! I had a great time watching Machete, but it definitely has its share of flaws. For me the flaws did not detract so much, but I know some people that couldn’t get past them. Low expectations are always a good way to watch a movie! Don’t you find Rodriguez to be unrelentlessly boring? Boring as in no dynamic? A single steady stream of white noise? I understand that he has a very deliberate style/philosophy, which I admire, but the boredom factor is hard to forgive. Yeah, he is fairly boring as a filmmaker, but I really like his approach to film and his attitude. This doesn’t make the movies any better, but it does get me to watch them. I really liked Machete though, it was a lot of fun. 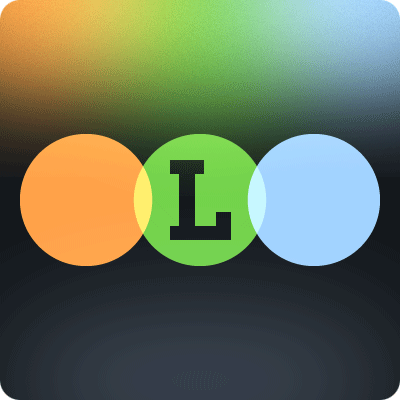 I also just watched Shorts and surprisingly enjoyed that as well. His stuff always falls short in some areas, but I usually have a good time with them despite his lack of a defined personal style.